Turtle VR 1.0 has been released! 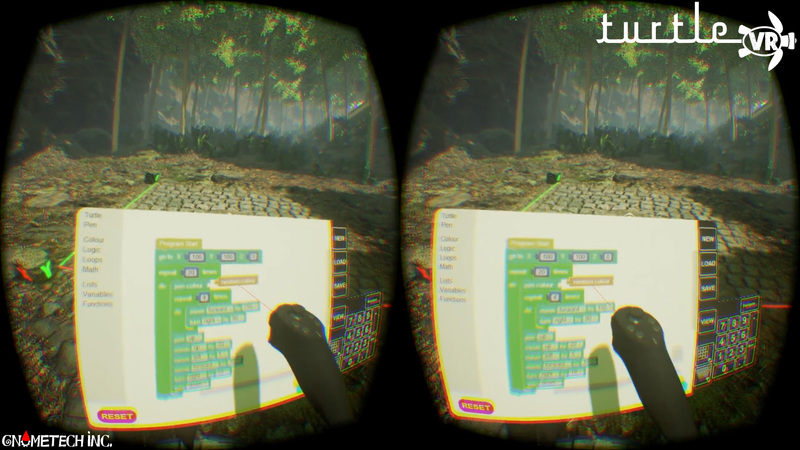 Today Turtle VR 1.0 is now available for the public to download and try out. 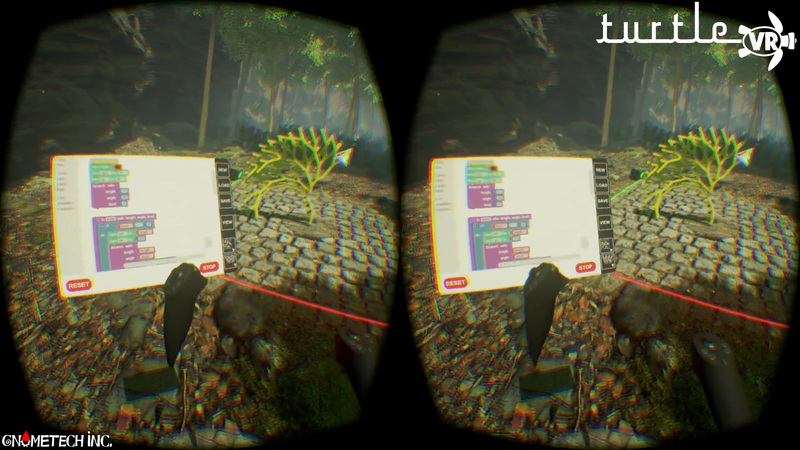 Turtle VR is a virtual reality experience that allows you to use a virtual tablet, Google Blockly, and a programmable turtle to creating drawings in VR in real-time using command blocks. You may download Turtle VR and find out more at the Turtle VR home page.